Recovery, health and well-being are more than just a prescription and diagnosis. We see the doctor when we have an acute injury like a broken bone or a rampant bacterial infection which makes sense. What doesn’t make sense is that we also see the doctor after years of chronic health conditions and issues that come together to create acute incidents of illness or injury. Cancer risks include tobacco use, poor diet, lack of physical activity, overweight, sun exposure, certain hormones, alcohol, radiation, certain chemicals, and other substances. You will notice a trend here. Almost all of these causes are preventable. Our medical system simply isn’t addressing the lifestyle factors and causes of the disease because we wait until we’re sick to do something about it. When we see our doctor we have fifteen minutes to describe the illness and issues that have impeded our day-to-day activities. What we don’t have time to discuss is the multitude of different warning signs that have led us to this point. We explain our symptoms and wait for a diagnosis and prescription. We then leave with a short-term solution to a long-term problem. Our medications only prevent the acute illness at hand and not the factors that got us there in the first place. What if we flipped the medical model and took a different approach? What if we looked at how can we keep people healthy? What if our health professionals gave us advice to prevent us from getting sick in the first place? What if we went to the doctor, pharmacist, physiotherapist, personal trainer and other health professionals when things were going well instead of when they were going badly? These are the types of ways that some people are innovating the medical model but not all. Our culture has promoted a day-to-day lifestyle of sedentary behaviour and ever-increasing work hours. We promote people to react to situations when they arise not to prevent them from happening. There are some health professionals who are adopting this evolving approach for their patients and customers. This needs to be the norm and not the exception. Chin Nan Loh (BPharm) of antidote pharmacies believes that as health professionals we have a larger obligation to do more then provide a band-aid for a much larger issue at hand. 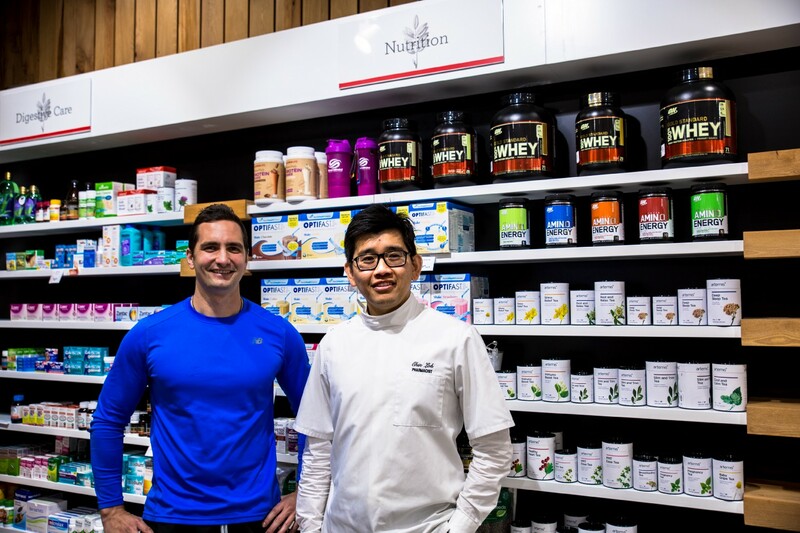 Chin said “When a customer comes into our stores, looking to fill out a prescription for a chronic illness I know nine times out of ten that there is so much more we can do for them. I know that what they’re eating, how they’re moving and how they’re sleeping all play a significant role in their overall health. Not just the medication I dispense. The conversation we try to have with our customers are about the other issues outside of their prescription. We know that if we fill their scripts without giving them advice on nutrition, physical activity and their work-life balance we know we’re going to be seeing that same customer with the same script and the same issues in a few weeks. I agree with Chin. Being a personal trainer a lot of my clients turn up when they’re at a tipping point. Not because they wanted to make changes to their health but because they were forced too. The current medical model has been a framework for a population that reacted to illness when it arose. Which was appropriate three-hundred years ago but not today. We now live longer with different issues and complications. We should focus on making sure that our short time on this planet is spent in good health and preventing illness, not reacting to it. Let’s start innovating the way we approach our health because without change we’re only going to reduce our quality of life, spend more money, and die faster then we need to.